Fendt around the clock – the Fendt Media Library makes it possible! Our internet TV provides you with news and information about Fendt 24/7. Here you have the opportunity to follow interesting reports about the Agritechnica in the comfort of your home. Moreover, in Top Topic, we present you interesting reports and in the category Top Customer, our customers report about their experiences with Fendt. Of course, you can search for Fendt TV reports, product videos and other videos anytime. Discover the Fendt Media Library! Experience the Fendt Focus Magazine in an interactive way. Read our fascinating reports, informative interviews and entertaining stories all over the world. Find out all about the latest Fendt technology and watch the videos directly. Each publication of the Fendt Focus can be downloaded on your tablet. After the download the version is offline available. The App is available in App Store and Google Play Store. With the Fendt News App you are informed for free. The Fendt App provides up-to-date news and information about the brand Fendt. In addition to the Fendt News you will get videos from Fendt and current market prices. Besides many interesting presentations, latest activities and innovations of Fendt you will find current video clips on Fendt TV. You will get current market prices for selected producer prices e.g. wheat, piglets, milk. So you can check and follow the current development of prices on the agricultural markets everywhere for free and take the right decision. All about the trade fair – always informed through Facebook! 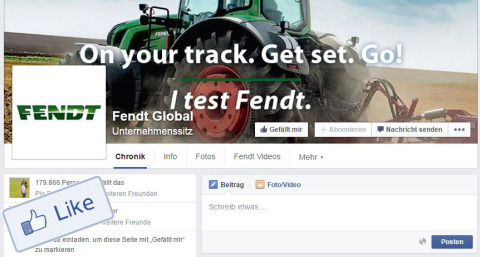 Our Fendt Global Facebook page offers you news and information about the Agritechnica in Hanover. Whether you are at the show or at home, you are always well-informed through Facebook. 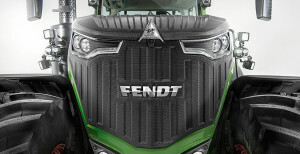 In addition to interesting reports, you will also find the latest activities and innovations from Fendt there.